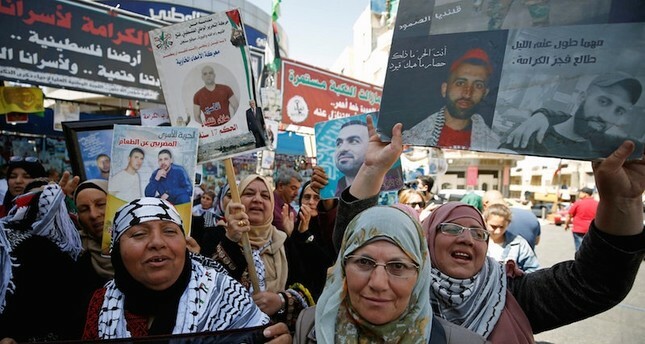 The Palestinian Liberation Organization said Sunday that 80 percent of the Palestinian hunger strikers' demands had been accepted by Israel. According to the PLO, Israel agreed on demands including improved prison conditions, the ability to make phone calls, longer visiting hours, and improved healthcare services. "It is a big change from a humanitarian standpoint," the head of PLO's Prisoners' Affairs Committee Issa Karaki said. Hundreds of Palestinian prisoners suspended a mass hunger strike Saturday after reaching a deal with Israeli authorities, according to Palestinian and Israeli officials. "The prisoners have reached an agreement with Israeli prison authorities to suspend the strike," Qaddoura Fares, head of the Palestinian Prisoners Society, said. In a statement, the Israeli prison service said that the prisoners would receive a second family visit per month, which will be funded by the Palestinian Authority. It is not yet clear whether other demands by prisoners were addressed under the agreement. There was no comment from the Ramallah-based Palestinian Authority on the report. Led by jailed Palestinian resistance icon Marwan Barghouti, more than 1,500 Palestinian prisoners began an open-ended hunger strike April 17 to demand more prison visits, better medical care and improved treatment for female inmates. According to Palestinian figures, Israel is currently holding more than 6,500 Palestinians, including scores of women and children, at 24 detention centers across the country.